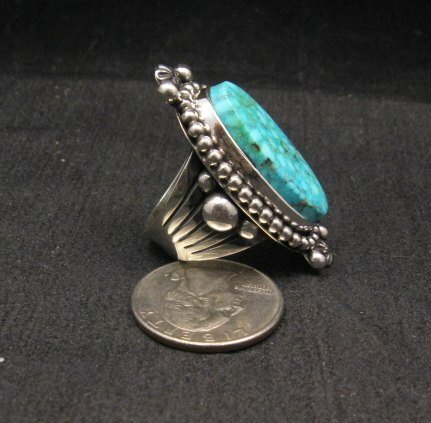 This Navajo hand made sterling silver ring is set with a natural Turquoise Mountain Turquoise stone. 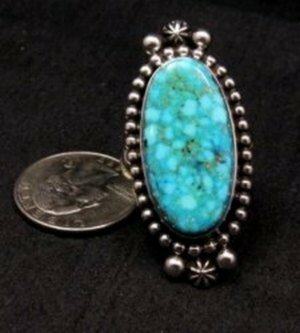 The natural turquoise is a bright sky blue color with mottled matrix throughout. Applied silver beads, twisted silver rope and an antique finish completes the old-style look. 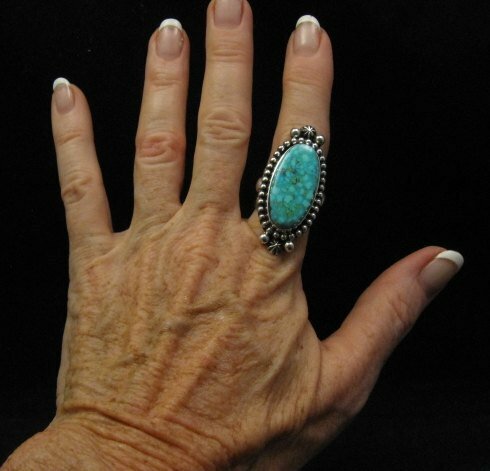 The face of the ring is a bit over 1-3/4 inch long and the ring weighs 24.6 grams. Reinforced six-way split shank. Size 8-1/2. Brand new in perfect condition. It is stamped sterling and has Guy Hoskie's hallmark. Certificate of Authenticity and gift box included with your purchase. Guy is 54 years old and lives in Arizona. Guy worked for the Navajo Tribe in Window Rock, Arizona starting in 1975, and remained there until 2000. 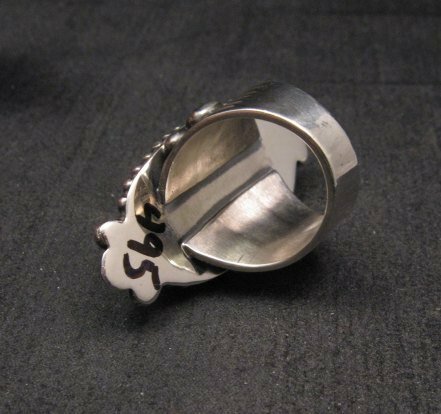 During this time he silversmithed on the side. 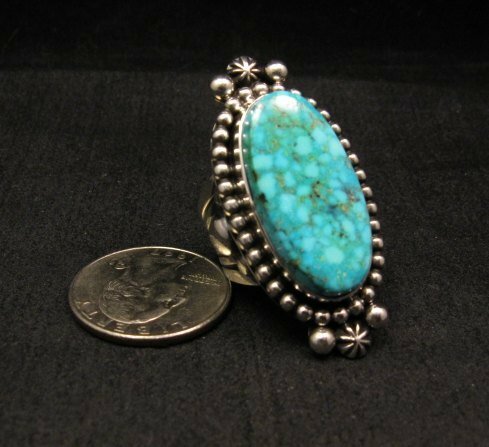 Guy learned silversmithing from his relatives, Sunshine Reeves and Andy Cadman, and has been creating jewelry since the early 1990's.